It captures the sweeping story of how freedom and equality have grown in California, from the Gold Rush through the post-9/11 era. Elinson and Yogi tell the stories of the brave individuals who have stood up for their rights in the face of social hostility, physical violence, economic hardship, and political stonewalling. 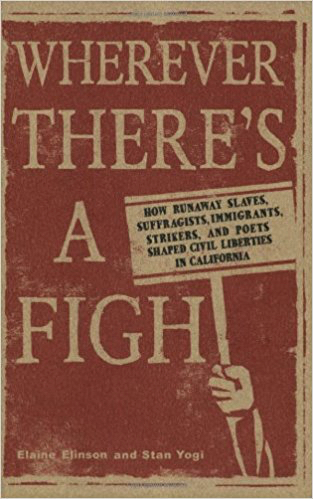 Their talk accompanies the exhibit, Wherever There’s A Fight: A History of Civil Liberties in California, which is on display in the Main Library from March 31 through May 31. Elaine Elinson was the communications director of the ACLU of Northern California and editor of the ACLU News for more than two decades. Stan Yogi managed development programs for the ACLU of Northern California for 14 years.